Hi Yogis and Yoginis! 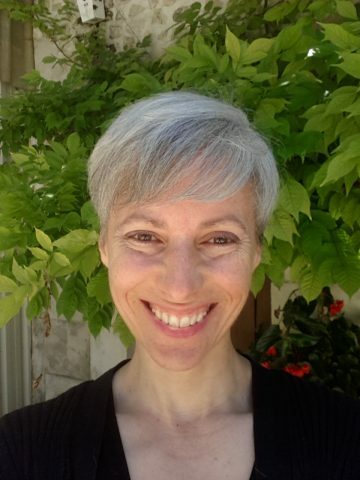 I’m Dielle Ciesco, author, artist, and Registered Yoga Teacher (RYT) with over 20 years experience in movement including various forms of dance (ballet, modern, improvisational); hatha, kundalini, and yin yoga; and somatics. I’m also an experienced meditation, breath and voicework facilitator with a background in energy work and Toltec shamanism. I’m looking forward to sharing my passion for yoga with you as a means of deep listening and self-honoring to anchor mind in body and body in spirit. I believe that yoga should be practiced with a sense of lightness, curiosity and patience. It is only in slowing down that we can actually become aware of our choices, not just during practice, but in life. When we stop trying so hard, we can hear the quiet messages not just of the body, but of the spirit, that so easily get overridden. We can learn timing and we can learn to trust the flow, bringing enjoyment and liberation to the body and mind. For me, that’s what yoga is all about. Of course, yoga isn’t just about movement; a well-rounded practice includes breathwork and meditation. I love mantra and vocal toning, too. Find out more about my books, background, and studio in Brossac, France at my website: DielleCiesco.com. 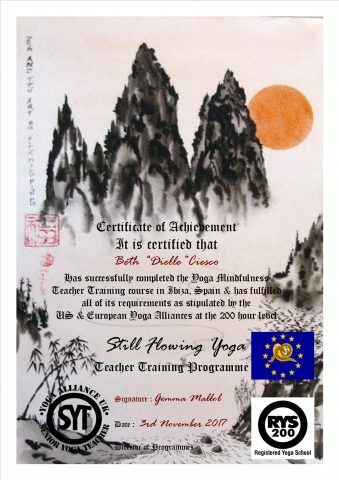 I offers group yoga and meditation instruction and various workshops (in English), one-to-one private sessions, and on-call services to gites and retreat sites in the Southern Charentes, Northern Dordogne, Southwest Maritime, & Upper West Gironde. I also teaches worldwide via Zoom. Developed Toning for Peace and Vocal Toning Meditation and Transformational Voicework, writing two books on the topic, The Unknown Mother: A magical Walk with the Goddess of Sound and Your True Voice: Tools to Embrace A Fully Expressed Life.